So how exactly did the four triathletes got into the sport? And what does a typical training look like for them? “It was my friend who invited me [to do triathlon.] I just gave birth to my second son when my friend told me she wanted to do triathlon, but she didn’t have someone to do it with. She knew that I was a swimmer before, so she told me that there was a swimming event that I can join. After that, I start doing short distance races like Super Sprint Triathlon. From there, I looked for a coach and started training. Training is every day for me. I train twice a day, then I squeeze in some gym day. For the morning, it’s either swim and bike or swim and run. I finish it off by going to the gym. “I first got into running because I was overweight. I was really fat—I used to weigh 250kg—so I decided to lose some. After a month, I realized it’s actually nice. You start losing weight quickly and decide maybe I’ll continue running. I started joining races, increased my distances, and joined marathons. I was studying in the UK when my family and I decided to go to the Philippines 10 years ago. I then started a blog called ‘Foreign Runner’ where I got to meet fellow bloggers. One blogger, in particular, asked me if I wanted to join a triathlon, and the rest is history. Since I live in Agutaya in Palawan, training is difficult since we don’t have a road to run and bike on, so I’m doing everything indoors. I have my own gym. I’ve got a bike trainer. I do everything indoors. When it’s offseason, I’ve got a maintenance program that my trainer [Don Velasco] gives me. Mondays are my off days. Tuesdays, I do short brick [training.] Wednesdays, I run. Thursdays and Fridays, I swim. Saturdays, I bike. Sundays, I brick. My shortest training is an hour and my longest is three hours a day. “I took a break from martial arts and decided to get myself into an activity that’s a bit intense. In my case, I get bored easily when I don’t feel tired. 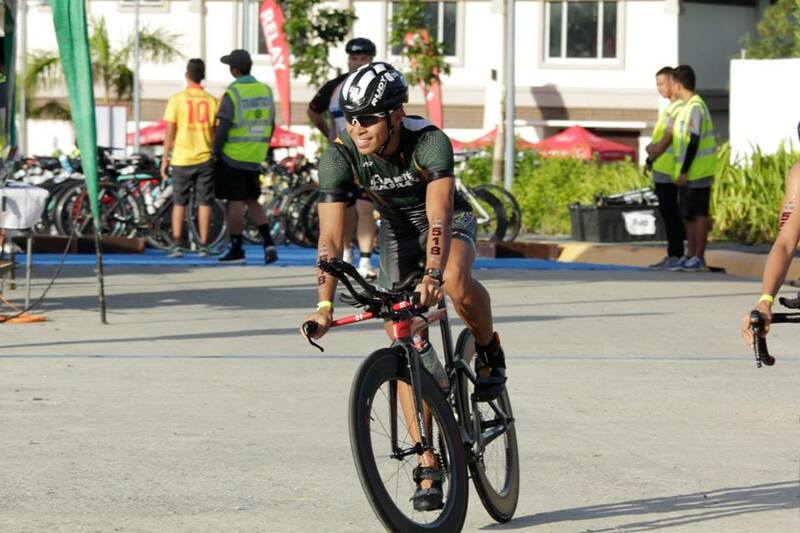 So, I told myself that since I was already mountain-biking and running, ‘swimming na lang, then triathlon na.’” I was very intrigued with this sport since I saw how people trained for it. I noticed that there were a lot of executives and entrepreneurs. I realized there must be something that attracts that kind of profile to the sports. For training, it really depends on the race. For a half-Ironman or for an Olympic distance, training has to be every day and then you do different disciplines per day. I usually do two disciplines a day. It’s either I run and bike or run and swim. 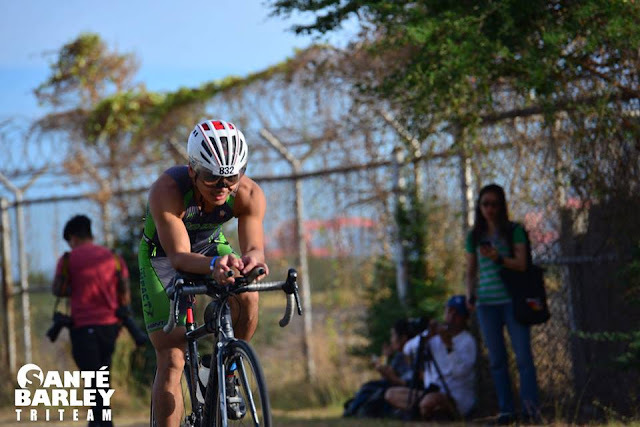 “I had my start at triathlon when I was in college around 2009 or 2010. I bike, and I also love running, but I didn’t know how to swim so I took a swimming lesson for my PE subject. My training is based on what race I am preparing for. I spend three hours a day training for short distance triathlons, and five to six hours a day for longer ones. For Olympic, I usually prepare for two months; three months for 70.3; and six months for a full Ironman. 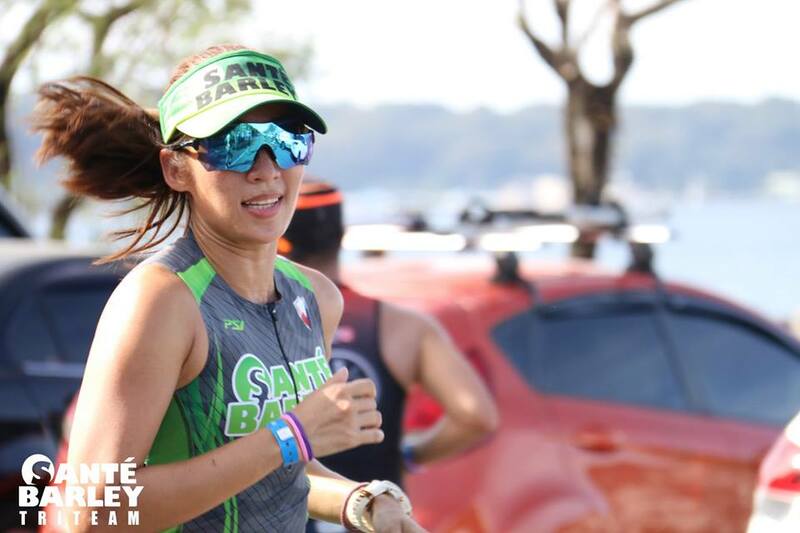 The Santé Barley Tri-team is a triathlon team founded by Joey Marcelo, CEO of Santé. The team that has been competing individually and as a group in major triathlon, duathlon, aquathlon and running events with podium finishes in local and international competitions. The company believes that optimal health is not only achieved through proper nutrition but also by participating in various sports events.